Bought my wife a 1955 Chevy for $18.00 to teach her how to drive. She loved that car so I beefed up the motor and fixed up the body. It was delivered at Bergl Chevrolet in Cicero, IL. 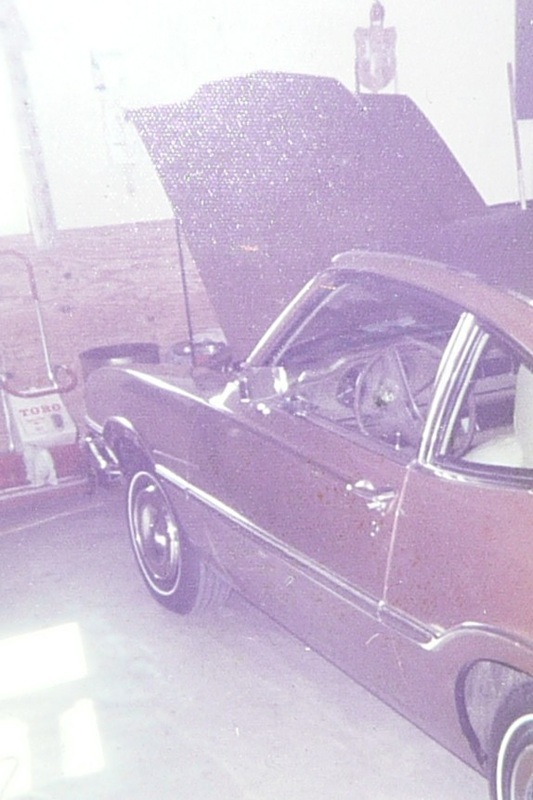 It was a 265 ci "power pack" V8, which included a 4 barrel carb, dual exhaust. After I bought it from Roland with a crushed trunk that had a padlock and she enjoyed driving it I decided to rebuild the motor. I put in high compression forged pistons, Mickey Thompson 3/4 race cam, and I welded up a set of headers for it. 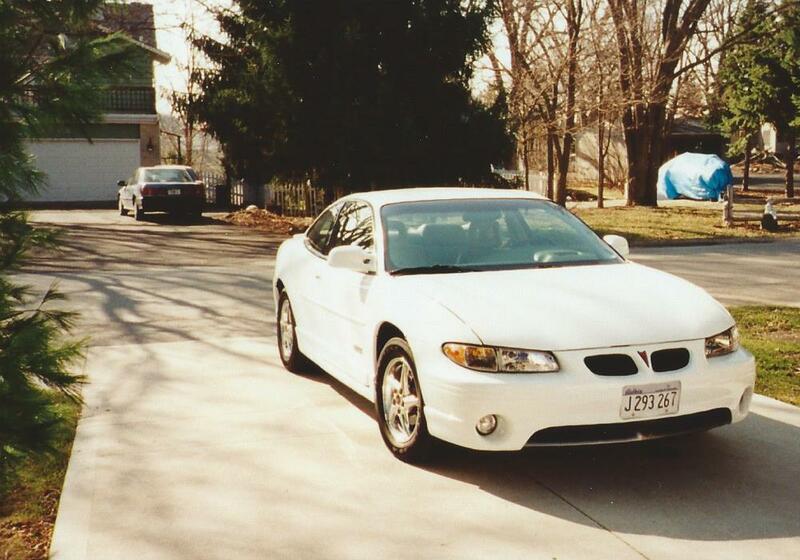 It ran really good, and it was known and the GTO beater. After I beefed up the engine I decided to fix up the body. I found another Chevy convertible laying upside down in a field near O'Hare Airport. One rain day I drove out there with the welding tanks in the trunk and I cut out the pieces I needed and brought them back to the garage we were renting and welded them in and make it straight again. I took it Earl Sheib and had it painted and she loved it. Unfortunately she stopped a Dodge on her way home from work one day. 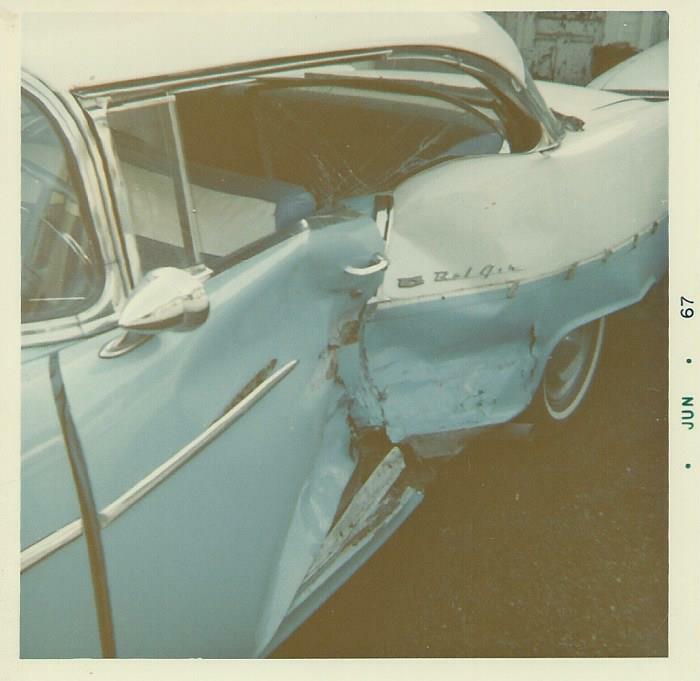 Her second car was a 1963 Falcon sedan that she used to call the "Goldfish Bowl" car because she could see all four fenders. 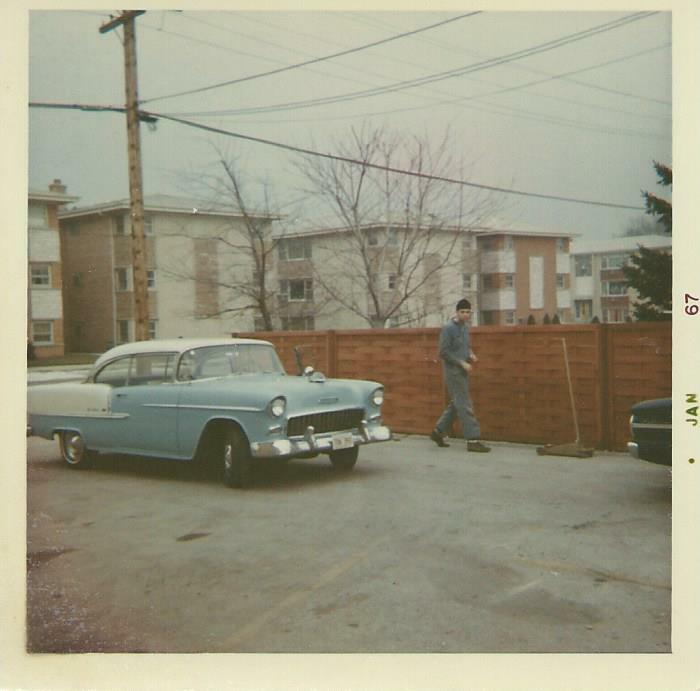 When I got my first company car we gave that Falcon to my parents and she drove the 1963 Falcon convertible for awhile. I even converted the transmission to an automatic for her. Then I got it into my head that she had to have a 1973 Luxury Comet. We kept that car for about six years and she drove the wheels off that thing. We sold it to our friend Bob with 69,000 miles on it and he drove it for years and when he was through with it he gave it back to us with 385,000 miles on it. We gave the engine to my nephew Ricky and we put the turbo hydramatic transmission in Dave's Camaro. Then I decided since the boys were getting older and we really didn't need a station wagon anymore that she should have a new Corvette. We ordered a 4-speed car and they were on constraint at the factory so various friends gave her a driver for the few months we had to wait. She even drove the 1929 Model A Ford for a few weeks in the middle of winter. My friend Stretch and I went to pick it up from Bill Jacobs Chevrolet in Joliet on February 10, 1981, which happens to be our son Jake's 11th birthday. We brought it home in the middle of a snow storm. It was a 350 L81 motor with a 4-speed trans. 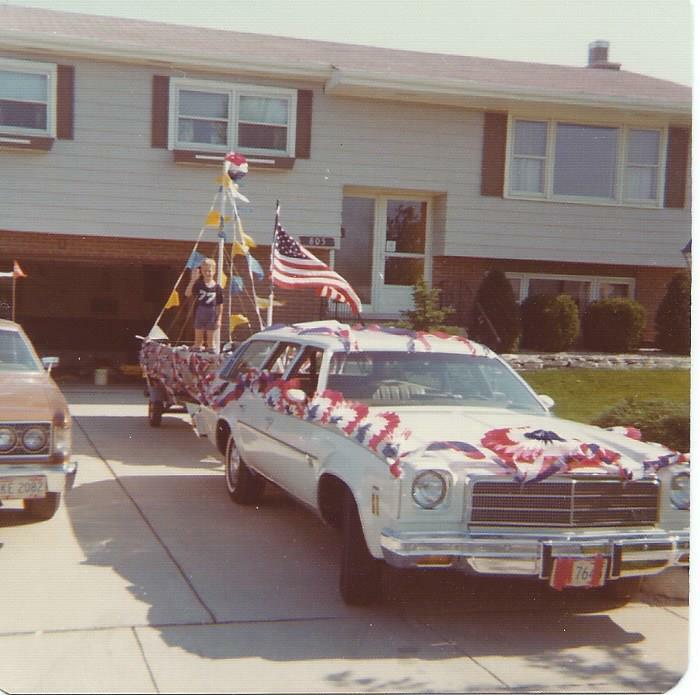 We used to be in the Darien Fourth of July Parade and in 1992 won a Bloomington Gold certificate thanks to our son Jake who worked diligently keeping it clean for many years. She worked about three blocks away from our home and usually walked to work, but she did occasionally have to drive and not only did she get heat from me, but from our son Jake, also. One day she comes home from works and says, "I need a car I can drive every day and not worry about." 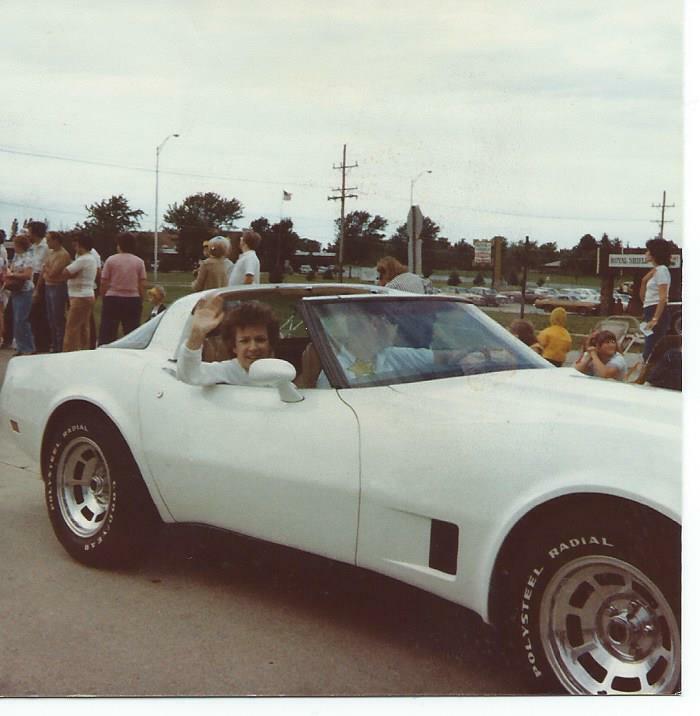 At this time the boys and I each had "good" car and a "driver" so off we went to Bill Stillwell Buick in Downers Grove and bought her a 1988 Skylark. We called it the "little limo" because it was such a smooth riding car. 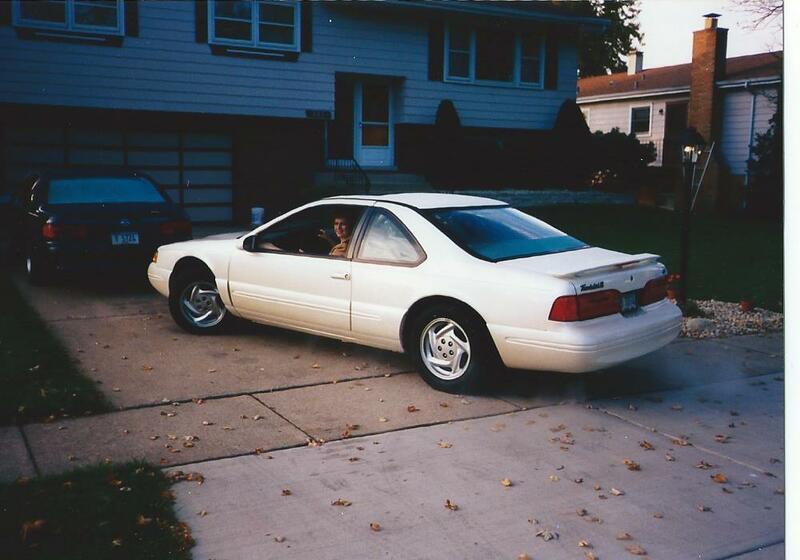 In 1999 after she wore out the 1997 Thunderbird driving to and from work we bought her a 2000 Super Charged Grand Prix, which she loved and drove until this year. We decided to get back down to 3 cars so we sold the Grand Prix and our '96 Corvette to purchase a 2013 Corvette. (See home page.) 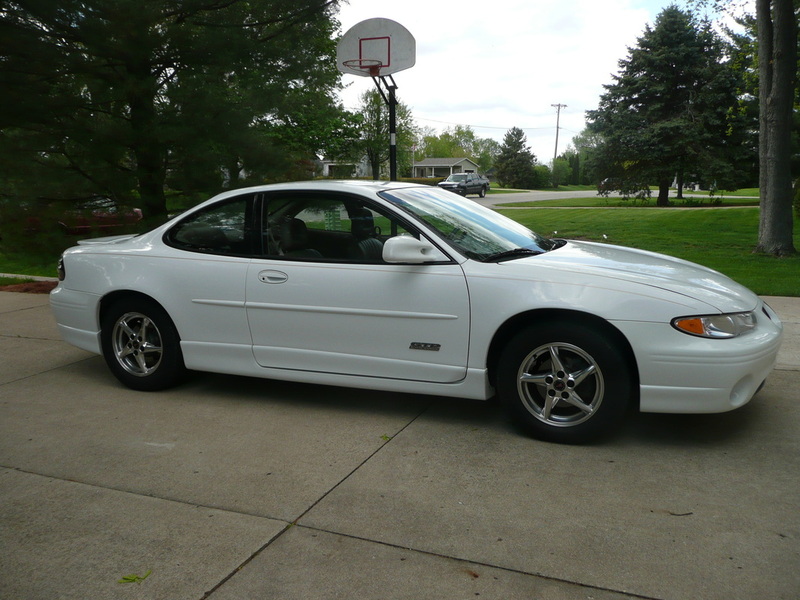 Here is the Grand Prix GTP all spiffed up and read to go to it's new owners.